Nirvana’s legendary 1992 Reading concert is ranked #1 in Kerrang Magazine’s “100 Gigs That Shook The World” and voted as “Nirvana’s #1 Greatest Moment” by fans in an NME poll. Nirvana’s historic August 30, 1992 headlining appearance at the UK’s Reading Festival is one of the most bootlegged concerts in the annals of rock’n’roll. Now, fans can own a pristine copy of that entire performance – color-corrected video from the original film with audio sourced from the original multi-track masters. 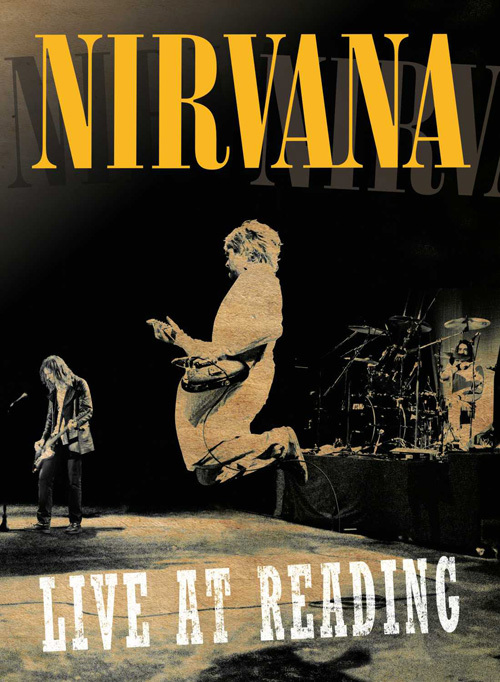 Nirvana Live At Reading is available on DVD, CD and on 2-LP vinyl. While the show’s centerpiece was a performance of nearly the entire Nevermind tracklist, also noteworthy were early performances of three as of yet unrecorded songs which wouldn’t be released until 2 years later on In Utero: “All Apologies,” “Dumb,” and in its first ever public performance, “tourette’s.” The career-spanning setlist also reached back to the band’s 1989 Sub Pop debut album, Bleach, for “Blew,” “About A Girl,” “School,” “Negative Creep” and first single “Love Buzz,” and even further back to the mid-’80s for “Spank Thru.” Other songs from the Reading set would appear in studio form on the Incesticide compilation later in 1992: “Aneurysm,” “Been A Son” and “Sliver.” Additionally, the band played a pair of beloved covers by two bands that helped shape the formative Nirvana sound – “The Money Will Roll Right In” by Fang and “D-7” by The Wipers.